It feels like just yesterday I was sitting in the garden enjoying the sun, but the winter months are creeping closer, the weather is that little bit colder and the big ‘C’ is just around the corner. Unfortunately for most, the cheerful spirit of Christmas is tainted by money worries, wondering how on earth you’re going to afford everything on the children’s Christmas lists, how you’re going to afford Christmas parties and never mind the copious amounts of food and drink we love to indulge in during the festive period. 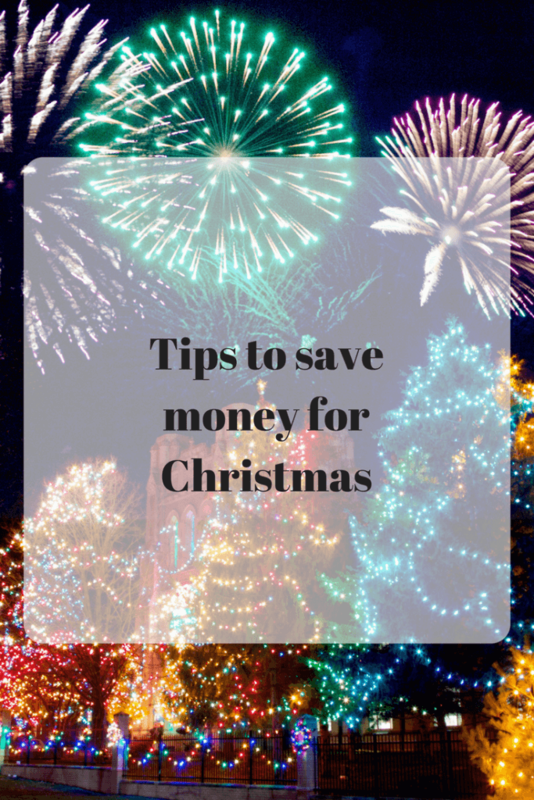 Whilst Christmas is inevitably the most expensive time of the year, a few tips and tricks could see that you manage to pull it off, without going bankrupt! Now is the time to begin thinking about how much you are planning on spending at Christmas time (a rough amount – allow yourself to go over a little) and start to put some away during the three remaining months so that when you get to December, you don’t suddenly have a panic about how much you need to spend. It might seem a while away yet but trust me, it can creep up quickly and you want to be prepared! Remember that you are much better off planning for what you can afford rather than fantasising over a ‘perfect Christmas’ that isn’t realistic. That being said Splashing out a little over Christmas isn’t a crime – everyone has worked hard and deserves to let their hair down. Why not be a little ‘thriftier’ in October and November to allow yourself a chance to up your monthly spending a little in December? That posh scented candle you’ve been smelling every time you walk into Tesco, or that pair of incredibly soft M&S slippers you can’t help but stroke – go on, treat yourself, it’s Christmas! You may roll your eyes at the colleague or friend that’s already smugly claimed to have started their Christmas shopping (you may also be secretly thinking their mad as a box of frogs) but this early buying method can help to save money in the long run as it won’t impact your bank account as much, rather than getting to December and finding you need to spend a lot in one go. Another great trick is buy items that will be expensive around December time, in the Black Friday sales. These typically run on one day (Friday) but some retailers run their discounts and savings for the whole weekend, with some even cutting prices for an entire week. If you’re looking to buy electrical items then Black Friday is particularly useful. Items such as TV’s, Laptops, Hair Straighteners and even food processors from some of the best known brands, often have their prices as much as halved during the Black Friday extravaganza. You might be opposed to indulging in such extravagant consumerism, but it sure can save ya some cash! Speaking of reducing monthly costs in the run up to Christmas, have you assessed your energy, electricity bills? What about your TV package? Are you paying over the odds for things that you don’t need? Sometimes it can be worth sitting down for an afternoon and seeing what your monthly outgoings are and how you could adjust them in some way. For example, if you use regular halogen light bulbs in your home, why not consider switching them for an LED alternative – not only will these last longer but they also use a lot less energy which in turn will save you a fair amount on your bills and give you more money for all of those yummy Christmas treats you said you wouldn’t buy! Without dimming any kind of festive spirit, is there any agreements you can make with friends/distant family/colleagues to not ‘do’ presents this year? That way you have more money to focus on the children, hubby, mum/dad, brother/sister – you never know, they might also be relieved there’s one last gift to buy. Why not just suggest a Christmas meal with all of your friends at once and use the money you would have spent on individual gifts – towards that instead? Alternatively, the age-old Secret Santa game is definitely a great money saver – not only do you only have to buy one gift (instead of 10) it’s also a great and exciting of bringing everyone together in true Christmas spirit! I feel like the world and his wife needs to read this – these kinds of tips are soooo useful! These are great tips! This year I’ve actually been super organised, and I saved money throughout the year. Ive got atleast 90% of presents sorted now! completely agree its become so commercialised the spirit has gone people worry so much on keeping up with the Joneses. it’s sad how things become.. ive already made a start vouchers and christmas advents not the chocolate ones. I tell myself every year I’m going to be super organised for Christmas hoping this is the year!